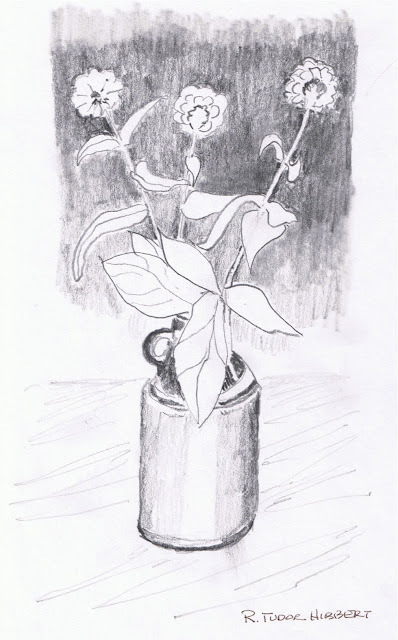 Undated sketch of flowers in a jug. Recently located. I suspect it was drawn in the 60s or earlier. The signature is more recent.